With Ichiro’s 3,000th hit, he has achieved one of the most exclusive and celebrated career milestones in Major League Baseball history. 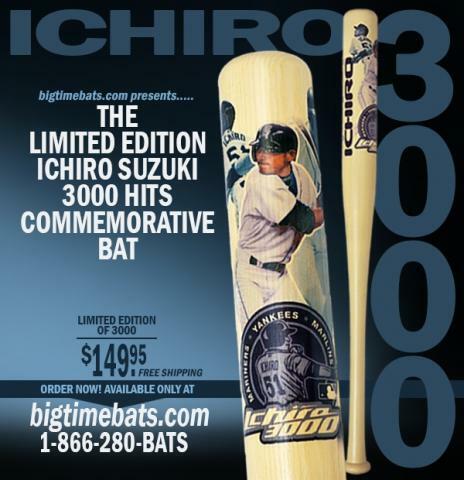 In commemoration of this event, Big Time Bats is proud to release this EXCLUSIVE Ichiro Suzuki 3,000 Hits Bat. 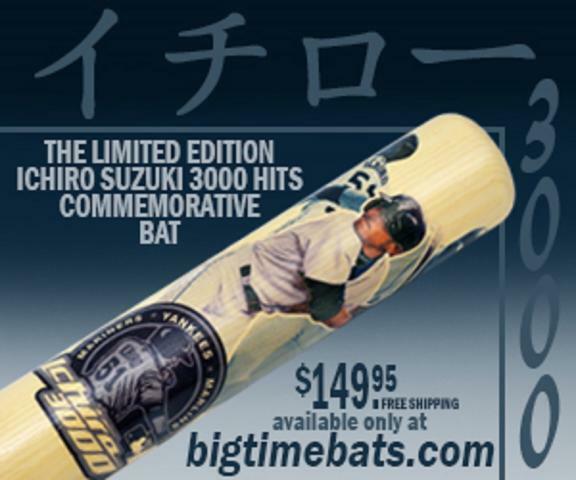 Made from natural ash and measuring 34 inches, this special commemorative bat features images of Ichiro while playing for the Seattle Mariners, the hit totals for his 3 MLB teams, and the Ichiro 3,000 hit logo. 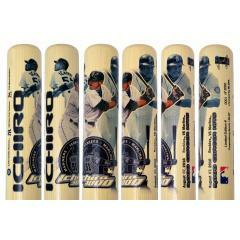 Each bat is individually numbered and this release is strictly limited to only 3,000 pieces. 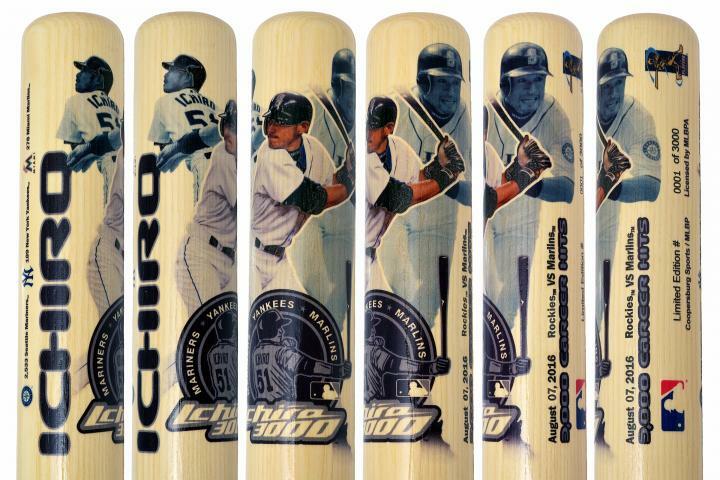 With Ichiro’s popularity in both Japan and the United States, these bats are expected to sell out quickly. Get you piece of baseball history before they are sold out! This bat is officially licensed by Major League Baseball and Ichiro Suzuki. This bat is not game used. Due to the limited release of this item, we must charge your credit card for the full price immediately upon taking your order. This policy ensures we reserve a bat for you. We will be confirming your order through email. Please allow 4-6 weeks for delivery.